A new dismantle puzzle: armed with only a screwdriver, can you dismantle the lunch box in kaitai dismantlement: lunch box 2? Jmtb02 and his blue elephant are back because this is the only level 3. Help Santa find the new year in the end of year game from PastelGames: where is 2012? Explore the gorgeous platforming world of william and sly 2 by Lucas Paakh. Your weekly Minoto point and click exercise has arrived: rabbit and tortoise 5. The latest point and click game by BeGamer: the wok. Help the little hero to find his way using your point and click skills. Love's cadence a puzzle platformer by Redharvest, 4urentertainment, Intero and MihaP. Walk around with the cursor keys and interact with the mouse to discover the two different endings. Verge, a puzzle platformer by Kyle Pulver, that revolves around a mechanic involving life and death, because when the character dies you will sometimes find the answer to solving the puzzle. That's it for my personal favourites for 2011. What were yours? Did I forget some really nice ones? Feel free to add your own suggestions in the comments! 2011 was also a productive bontegames year with no less than 4 new games that hit your browsers: Sugar, sugar, 14 locks, Factory Balls 4 and Sugar, sugar, the Christmas special. Watch out for more bontegames in 2012! The point and click diversion by Minoto for this week is here: rabbit and tortoise 4. Greens and reds are stuck on a hazardous planet, but greens survive only when reds die in this puzzler by Friedpixel Games. You end up on the mysterious island 49 but will you be able to get back home? A point and click adventure by Jo99. You're a private investigator seeking his long lost love but everything isn't quite what it seems in myosotis: chapter 1 by Mike Morin. Solve the puzzles by deleting or typing physics commands in this game featuring words and physics by Keybol. A young boy and a young girl become friends and fall in love, but their relationship is changed after an encounter with a broken robot in the woods... These robotik hearts of mine, a puzzler by Draknek. Here's your point and click diversion from Minoto for this week: rabbit and tortoise 3. Help the little robot to escape the facility on the moon and get back to his mother in the point and click game robot mom by BeGamer. The latest escape the room game by Kotorinosu is here, can you escape Matryoshka? 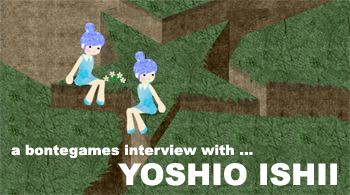 Touka is yet another new game by Yoshio Ishii (interview with Yoshio is coming later). In each level you have to find a way to light all the flowers. Use all your wits and skill to tackle all the puzzles and challenges in the new Ninjadoodle game Binga 2. Teamwork will be required as you guide three sheep on an adventure through the streets of London in Home Sheep Home 2 by Aardman Digital. Ho ho ho, here's my Christmas present for this year: a new bontegame! 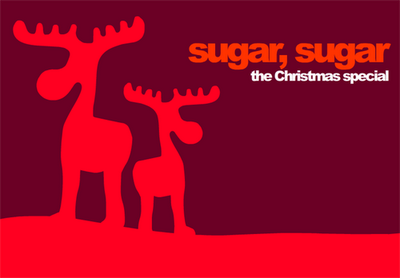 Enjoy Sugar, sugar, the Christmas special! Draw and get enough sugar in the cups! 24 brand new levels in Christmas style! Spread the word and spread the game! Cheers! The fourth episode in the Pastel Games point and click series Sneak Thief is here: Sneak Thief 4: fourth find. Kikka is another new puzzle game by Yoshio Ishii (soon to be interviewed here). In each level you have to find out how to assemble twelve petals to form a flower. Some thinking outside the box may be required in order to reach each level's exit door as you attempt to escape Volcania by Koliomeno & Styxtwo.